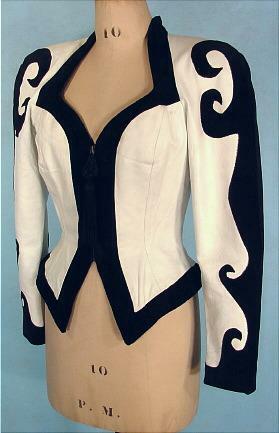 #3153 - 1980's Climax White Leather and Black Suede Zip Front Jacket!! WOW! 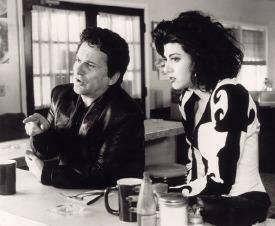 I was sent this photo of Marisa Tomei in her Oscar Winning Role in "My Cousin Vinny", and guess what she is wearing! Yup. It's the same jacket. Not the actual one she wore, but obviously some Hollywood costumer and I have the same taste! 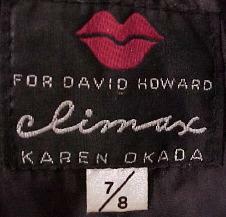 A perfect jacket for Marisa Tomei and "Dynasty" Alexis Carrington "wanna-be's". 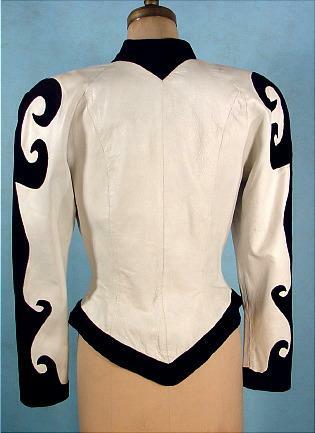 White leather and black suede in fancy designed sleeves. 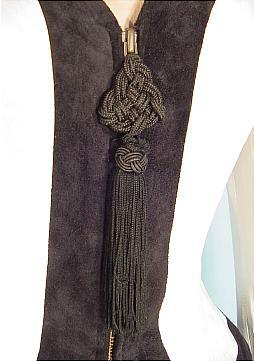 Take a look at the close-up photos so you can see the great tassel zipper! Great fitted shape with wide 80's shoulders. Excellent condition. 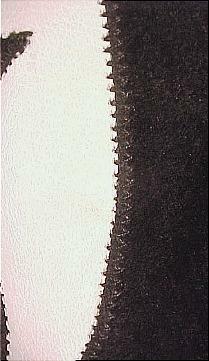 Measures: 35/36" bust, 27/28" waist. Fully lined.